We offer a full range of professional two way radio equipment for hire — walkie talkies, hand portables, mobiles, local base stations, and talk through base stations — for any period required. With so many choices of two way radio models available it is easy to get distracted from what you really need — a two way radio system that meets your requirements. Foretrack and Quartix vehicle tracking systems offers a live GPS fleet management system providing you with around the clock visibility and control of your mobile workforce. “We had a simple brief that could not fail - a radio system that would cover all park & ride sites to allow instant communication amongst users, and Contact Radio passed with flying colours. Would definately work with them again in the future on similar scale projects"
"On behalf of myself and the entire Urban Circle Fraternity, a massive thank you for the support that you gave to the Rock Rave fundraiser in Newport Centre"
"Chepstow Rugby Club would like to thank you for your continued support and sponsorship"
"Excellent service, many thanks for all of your help"
"The event went very well, the radios were invaluable and worked just as we needed them to. Thanks very much!" Contact Radio Communications Ltd specialise in analogue & digital two way radio equipment. We provide sales, hire, system design, service, and installation of two way radio equipment (walkie talkies) for a variety of business sectors. As a long established independant company we can supply two way radio equipment from leading manufacturers, including Motorola, Hytera, Kenwood, Icom, Peltor and Tait. 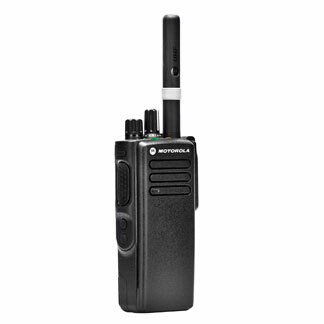 Unlicenced (PMR446) analogue & digital hand portables are available on a next day service. Licenced two way radio products include analogue and digital hand portables, mobiles, desk units and base stations. Some features that are available for health and safety include Lone Worker, Man Down and panic button alert. We can also supply Intrinsically safe (ATEX), and submersible two way radio products. Long and short term Two Way Radio Hire is available at competitive prices. Suitable for any application, two way radio hire is a great way of having up to date equipment with very little capital outlay. We have the latest digital models in our hire fleet, available for next working day. The latest service to be added to our portfolio is the supply and installation of Foretrack and Quartix GPS Vehicle Tracking systems for total fleet management via an internet based system, allowing access anywhere anytime.